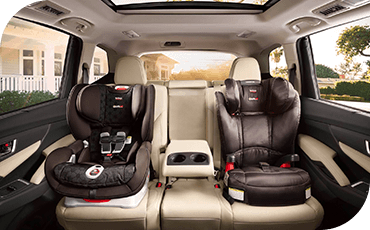 A new midsize SUV with three rows of seating is ideal for giving children their own space and for those weekend trips to the hardware store. Because of their popularity, you'll have no shortage of options when choosing your next new SUV. However, we think you'll agree that the all-new 2019 Subaru Ascent is the best of them all. Find out below some of the specs, options, and features waiting for you in the largest Subaru ever made. We'll also discuss the interior, exterior, performance, and safety so you have an idea of what you're getting for the money when choosing your next new three-row SUV. As we mentioned above, this is the largest Subaru SUV ever made. That means you'll find comfortable seating for up to eight passengers throughout 153.5 cubic feet of space in the new Subaru Ascent interior. With all seats in place, you'll still enjoy a convenient 17.8 cubic feet of cargo volume in the back. Fold down the back row for 47.5 feet of cargo volume or fold all the back seats for a maximum cargo volume of 86.5 cubic feet. Of course, the standard roof rails allow even more cargo to come along for the next adventure, and this is just the beginning. 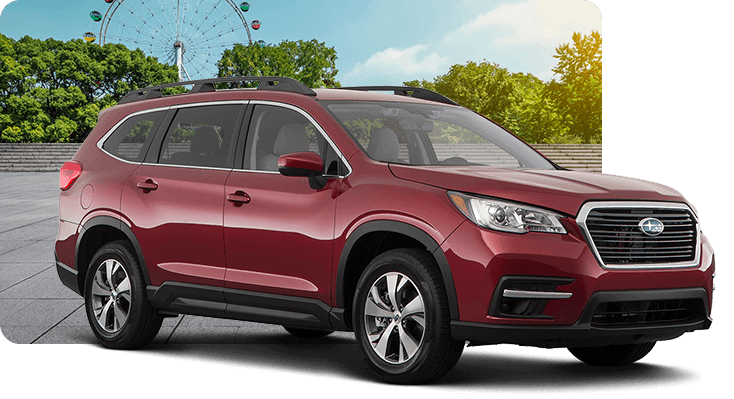 Standard 18-inch alloy wheels certainly provide great curb appeal right from the entry-level model, and just wait until you see some of the available features that make a new 2019 Subaru Ascent the best midsize SUV for your money. The standard Subaru STARLINK™ infotainment system makes every journey in the new Subaru Ascent easier and more enjoyable. That's because it provides Android™ Auto and Apple CarPlay™ connectivity plus so much more. You'll also enjoy seamless connection to your favorite internet radio apps along with satellite radio, all as standard features. Of course, the designers at Subaru haven't overlooked the importance of comfort, which is why automatic tri-zone climate control is also standard across the lineup. Available features include navigation, 4G LTE Wi-Fi, and auto-dimming mirrors. Simply put, the best new midsize SUV from Subaru is among the safest on the road. We expect nothing less from Subaru engineering, but don't take our word for it. 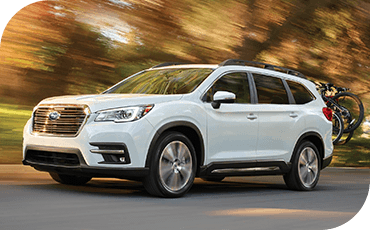 The new 2019 Subaru Ascent has already earned the highest 2018 IIHS Top Safety Pick + distinction. That means this Subaru SUV has been put through rigorous crash and safety testing to prove itself among the safest vehicles available. Standard Symmetrical All-Wheel Drive certainly improves safety whether the roads are slick or clear. Come see us to learn more about this award-winning safety. Does the New 2019 Subaru Ascent Come with Driver Assist Technology? 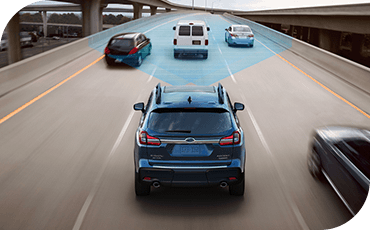 Not only will you find driver assist features like adaptive cruise control, pre-collision braking, lane departure and sway warning, and lane keep assist on the new Subaru Ascent, you'll find these features in every model. That's because the renowned EyeSight® technology is totally standard across the lineup. If you've yet to drive a vehicle equipped with adaptive cruise control, you're in for a treat behind the wheel of this remarkable midsize SUV from Subaru. When this advanced feature is activated, the vehicle maintains a constant distance from the traffic ahead. Available driver assist technology in the new Subaru Ascent includes reverse automatic braking, high beam assist, and blind-spot detection. 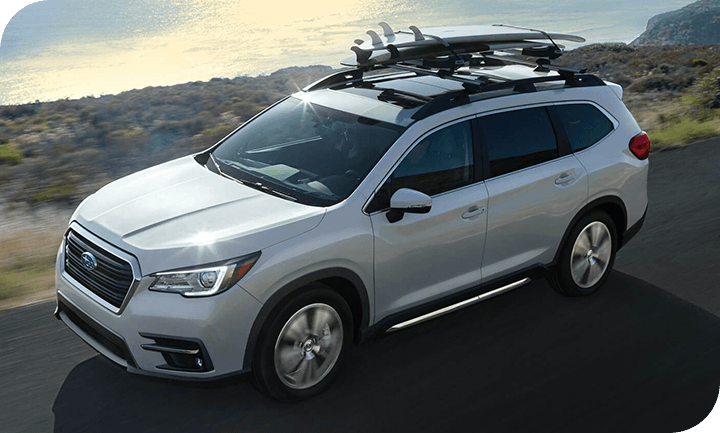 How Well Does the New 2019 Subaru Ascent Perform? As the latest Subaru SUV to be introduced, it's no surprise that the new Ascent comes with a flat BOXER® engine. That means comfortable and precise handling thanks to the low center of gravity, and this engine sends power to every wheel through the standard Symmetrical All-Wheel Drive system. This impressive engine is also turbocharged for engaging throttle response and drivability while achieving up to 27 MPG. We could go on at length about the unique performance that makes this the best performing midsize SUV, but it still wouldn't compare to discovering it for yourself during a test drive. 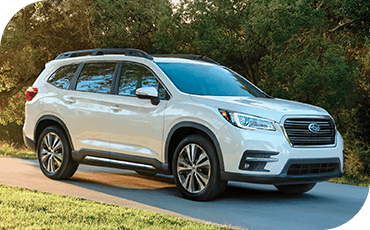 The 2019 Subaru Ascent comes in four trim levels, and each one of them is impressive. 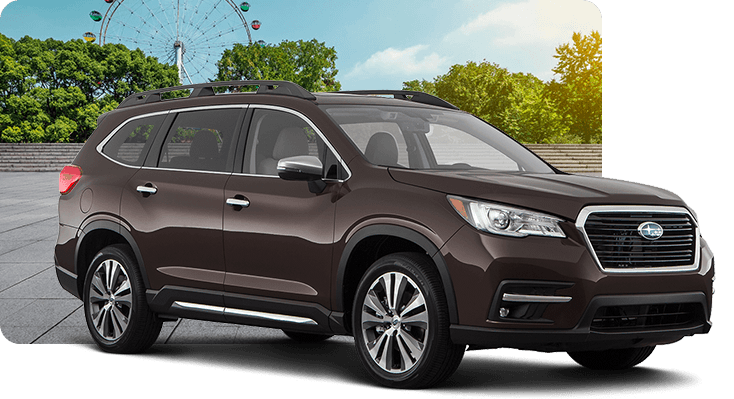 The entry-level Subaru Ascent starts out strong with comfort features like tri-zone automatic climate control and seating for up to eight people. 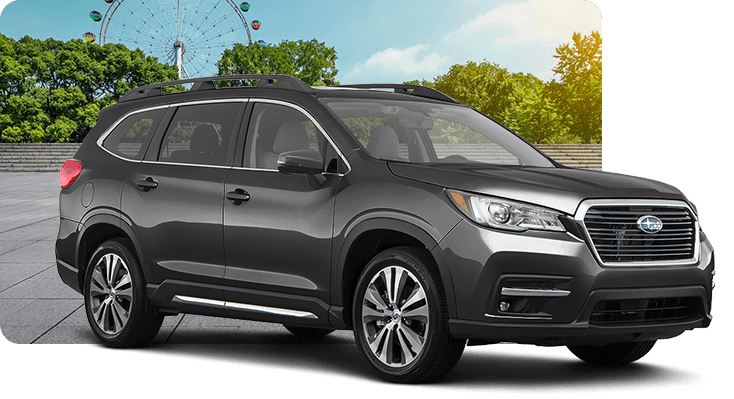 The entry-level Subaru Ascent also includes great audio and connectivity features, from the six-speaker audio system to the STARLINK™ Multimedia PLUS system with Apple CarPlay™, Android™ Auto, and more. The Subaru Ascent Premium takes everything that made the entry-level Ascent great and adds even more. 4G LTE Wi-Fi is now included, so you can make the Subaru Ascent a mobile hotspot. And the drive will be more comfortable both for you and your passengers thanks to heated front seats and separate second-row climate controls. And while the Subaru Ascent Premium also comes standard with seating for eight, it also allows you to choose second-row captain's chairs instead of the standard bench seating. This lets you seat up to seven people in comfort and makes access to the third row even more convenient. When you choose the Subaru Ascent Limited, you'll get impressive luxury features. Step inside the cabin to find leather-trimmed upholstery and attractive accent trim. Whether you choose the seven-seat or eight-seat configuration, the second row is now heated, as well. Furthermore, you'll get an auto-dimming rearview mirror with HomeLink® and a compass for even more convenience as you drive. 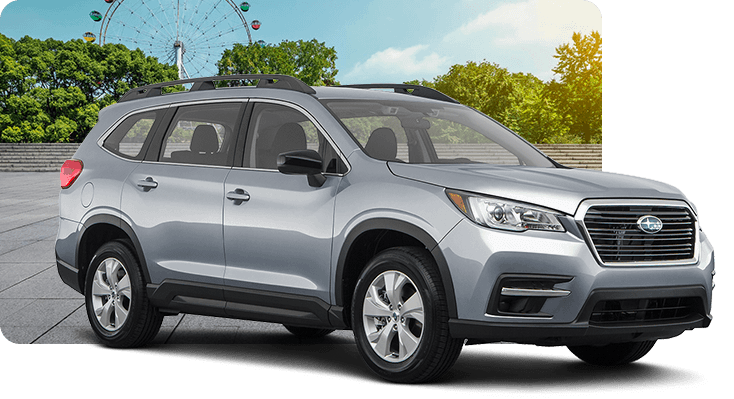 The top-of-the-line Subaru Ascent Touring creates a luxurious experience for driver and passengers alike, starting with the power tilt/sliding glass panoramic moonroof. This massive moonroof is 54 inches, and it makes the interior remarkably light and airy. In addition to being heated, the front seats are also ventilated, and the smart auto-dimming rearview mirror adds a rear-vision camera display.